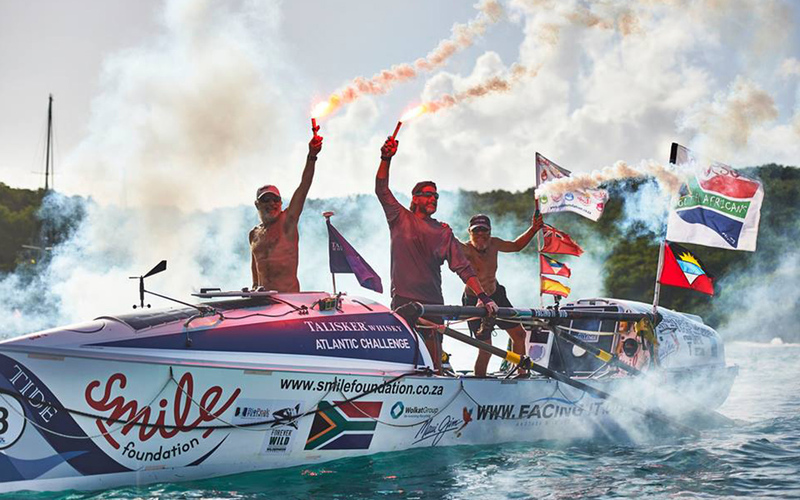 Team ‘Facing It’ win the ‘Pure Class’ Talisker Atlantic Challenge. Team ‘Facing It’ win the ‘Pure Class’ Talisker Atlantic Challenge. Three awesome South Africans worked relentlessly to achieve their goal. Stuart Connacher has complete three Atlantic Ocean rows and his experience has been paramount to the success of this great team. Excited family and friends waited to greet the rowers and now they are having some well-earned R & R after 51 days on the ocean.